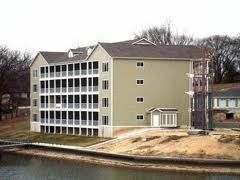 Located just steps from the Lake of the Ozarks, Nantucket Bay Condominiums offer comfortable accommodations for both large and small groups. If you are looking for a relaxing and tranquil getaway to enjoy water activities on the lake, swimming in the pool, or walking through town and enjoying the sights – this is an excellent location. 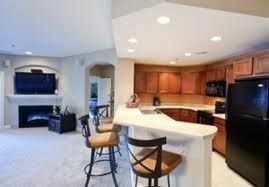 Nantucket Bay provides modern units with all the amenities of a vacation home. 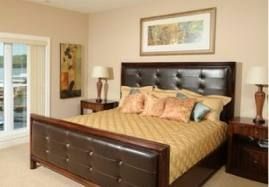 The Sunrise Beach timeshare resales in Nantucket Bay Condominiums offer studio, one, two, and three bedroom units. These apartments can sleep from two to twelve people with a variety of bed configurations. Each unit also features a washer and dryer, either full or partial kitchen, flat screen televisions in the living room and each of the bedrooms, and two bathrooms in the larger units. Guests will also enjoy free Wi-fi, lounging on the outdoor patio or balcony, and relaxing in the over-sized whirlpool bathtub. Whether you are traveling with a small family or a large group, these timeshares provide a relaxing retreat. Onsite amenities at Nantucket Bay include a swimming pool with water feature and access to boat slips on the lake. If you enjoy spending time in the outdoors admiring the beauty of nature – you will love taking long walks along the lake or renting a boat and spending a day on the water fishing. Nearby area attractions include a variety of restaurants located on the water, several golf courses, and boating tours to take advantage of the all the sights in the area. If you are traveling with children, make sure to check out Miner Mike’s Indoor Family Fun Center, in addition to Bear Bottom’s and Big Surf water parks. These Sunrise Beach timeshare resales can provide the perfect accommodations at Nantucket Bay Condominiums with enough room for everyone in your family. The units allow enough space for everyone to have their own privacy and the convenience of eating meals in the unit and enjoying the beauty of the lake on the patio. When planning your next vacation, you can’t go wrong with a lakeside retreat at Sunrise Beach. 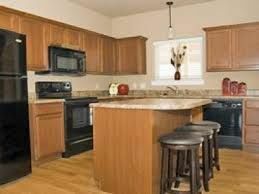 Contact Nantucket Bay Condominiums Specialist Today!